The splatter painting trend is still going strong, but some color combinations aren’t appropriate for work. Thankfully, this silver version is subtle and perfect for even the most conservative environments. 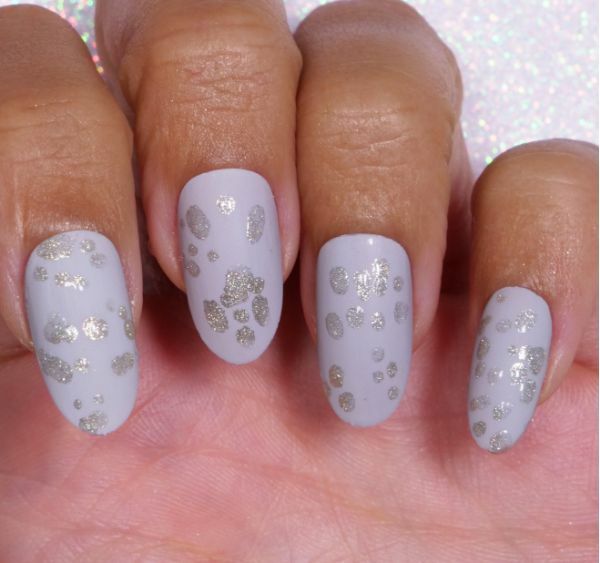 The neutral gray polish complements many types of business attire and makes the perfect backdrop for some sparkly, silver accents. This tutorial demonstrates a controlled splatter technique using silver glitter and clear gel top coat instead of traditional gel paint. If you already own gray gel polish, you can apply that to your nails instead of mixing the black and white gels shown in the video. 1. Use a pad of Extreme Post-it notes as a paint palette. This makes cleaning up easier. 2. Create gray nail paint by placing a small amount of black and white nail paint on the Post-it notepad with a clean toothpick. Dip another toothpick into the black paint and mix it with the white paint. 3. Apply one coat of gray gel paint to the nails with a flat detail brush, then cure them with the UV or LED lamp. 4. Apply one layer of matte gel top coat to the nails, then cure them with the lamp. 5. Dip the makeup applicator into the silver glitter, then rub it onto the nails in small circles. Do not cover the entire nail, though. 6. 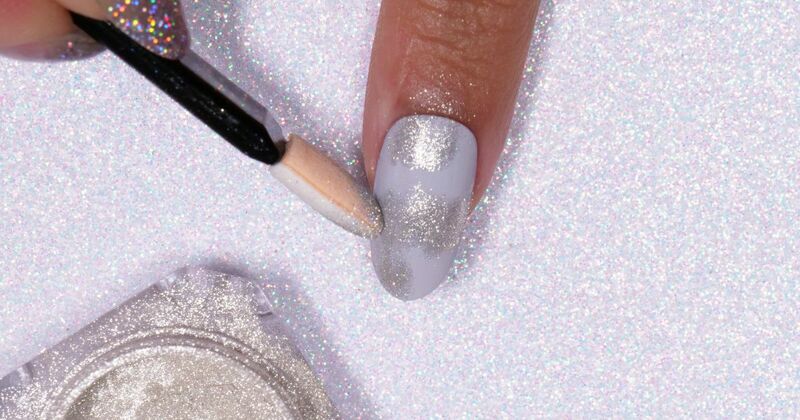 Brush no wipe gel top coat onto the Post-it note, then dip the fine detail brush into the polish and lightly dab it onto the nails where the glitter is. Cure the nails with the lamp. 7. Rub the nails with an alcohol-soaked cotton pad to remove the loose glitter.